Your download link will be Emailed to you! 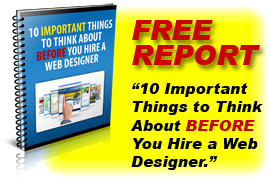 Everything You Need to Supercharge Your Search Engine Rankings! Search Engines are the primary source of traffic to your website – more than 85% of web users employ search engines to find web sites. The majority of them visiting websites listed on the first page. If your website is not listed in top 10 for search engines like Google, you are losing to your competition with every search. We help make your website relevant, not just to search engines, but also to your users. We help strip out what’s not working from your site, and enhance what is. We’ll educate you on how to use your site analytics to make smarter decisions that increase search engine rankings and organic traffic to your site. Are we perhaps your new best friend? We should say so. Once your site has been optimized, we can install monitoring and reporting to keep your site performing well. In fact, we can set triggers which will notify us of sudden changes in search engine ranking so that our staff can diagnose and respond to the problem. Our search engine position monitoring, when combined with web analytics gives you the entire picture of your Internet marketing performance. If you serve a local or regional market, we have methods to make sure you’re visible in the local search results. Geo targeting is essential and relies on several factors when it comes to SEO. In addition to the organic search results, a large part of the Google screen real estate these days is the local map or “Google Local”. With the increasing emphasis put on local search, making sure you show well on the Google Map is important. We can optimize your local listing and even monitor it for its relative position. 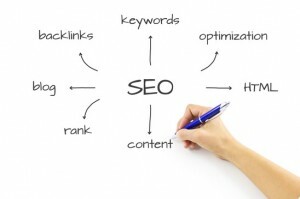 For more information on our Search Engine Optimization services, please call 262-662-9667 or fill out the form to the right.